Following on from this post about about the deaths of two cyclists on the so-called cycle superhighway at Bow Roundabout, London Assembly member John Biggs has now secured a commitment from Boris Johnson for an urgent safety review. Local London Assembly Member John Biggs today secured a commitment from the mayor and TfL to conduct an urgent safety review of Bow Roundabout, where two cyclists were recently killed. At an urgent meeting called by John Biggs, the mayor and his transport officials agreed to report back within a week on how they intend to improve safety at the junction. The new commitment comes after John Biggs’ two-year campaign to increase safety at the roundabout. 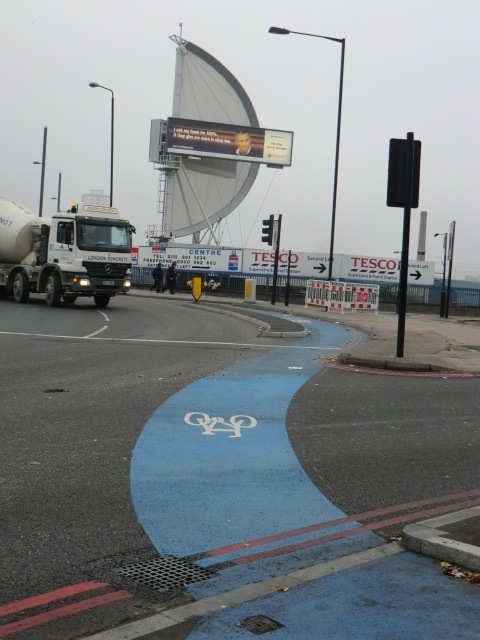 The safety of existing and planned Cycling Super Highways across London. review all other Cycling Super Highways.